Some people think that creating their own blog is as simple as sketching a dream web design on paper. Of course, having a blog is not just on aesthetics but there is really more to it. 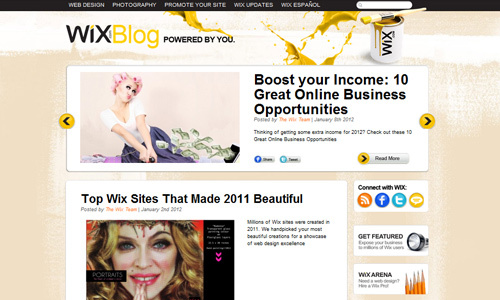 Millions of people worldwide create their own blogs in various niches which includes graphic design blogs. There are also so many graphic design blogs that we can find but not all of them could survive because they lack some qualities to be an effective blog. But still there are blogs that have been there for years already because they have considered many aspects pertaining to blog design. In order to have an effective and flourishing graphic design blog, you have to open your eyes and mind to many different things that you need to consider. But before you begin creating one, you should have the passion into graphic design. You should also have that flare to push your blog to the zenith of success in whatever way you could. This way, you will never stop learning and seeking for ways to improve your site. 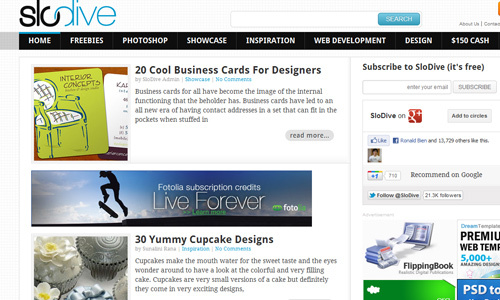 Today, we will give you 12 tips in creating an effective graphic design blog. 1. Create a unique design. Along with building your own brand, you should also be able to create a unique design for your blog. Be creative in making it and add some personal touch that could tell the readers who you are as a person. Since there are thousands of blogs online, you should make sure that yours will stand out. 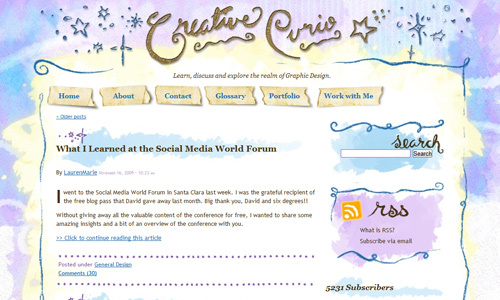 Your design is one point that can make your blog noticeable. 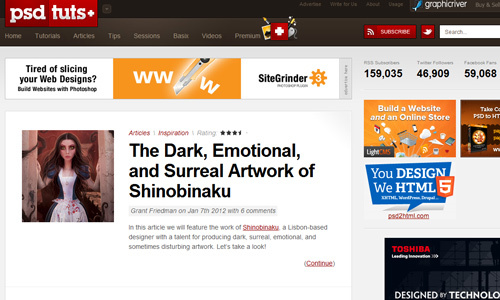 Having a great design can even help you to be featured in various design sites. There are different ways to design your site. 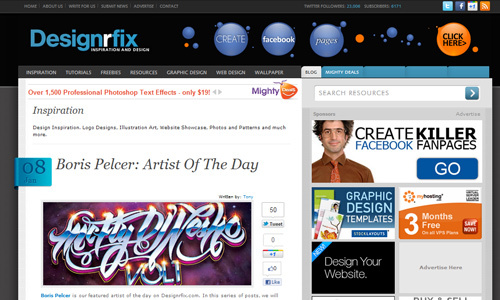 Use impressive typography, formatting, colors, concept, headers, background and others. Just be sure that no matter how stunning it is, you will not forget good usability and navigation. Also, do not use free WordPress themes; make it distinct, original and customized. As always, this is very important. 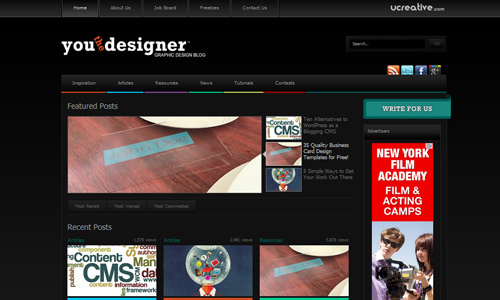 Design your blog in a manner that it can easily guide the readers all throughout your entire site. Do not give them a hard time learning the navigation or thinking of what they have to do in order to get to what they want to see. 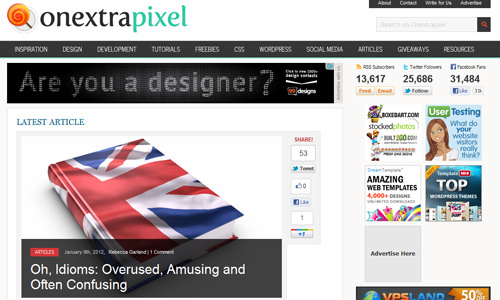 Most successful blogs have their navigation buttons at the top of the page below the header. You can also see the categories on the right side of the layout to make it easier for readers to search for the topics they are interested in. In every page that your reader will land on, you should be able to help them navigate the site so that they won’t just leave your blog. 3. Post inspiring, informative, original and quality articles. People would have that desire to visit your site if it is inspiring and informative. These are the two big reasons why your readers stick with you. In order to make your site effective, you also have to make sure that it is of good quality. If you expand your site, do not resort to short articles just to have more posts. It is important that you maintain the kind of articles you have been posting so that you can continually impress your readers and subscribers. Do not post articles that are copied from other sites. Make sure that it is original. In creating your posts, make sure that your images are of high quality especially that you have a design blog. Do not use images of poor quality for it will look cheap. You have to take note of this in any post you have. When you make a list wherein screenshots are used, be sure that it looks sharp and good. Try to download images that have high resolutions so that when you make it smaller, it will look good. 5. Focus on your niche. Do not go around the bush. Do not touch topics that are not related to your site. For a graphic designer’s blog, you can have various categories relating to it and you can even have freebies like textures, wallpapers and others. It would also be helpful if you post tips and guides for designers not just relating to design work but also to their career as designers. Do not post anything that designers won’t be able to relate to. This could confuse them and might make them think that your site is not organized. So, focus on your niche. Do not go beyond that. 6. Have design list for inspiration. 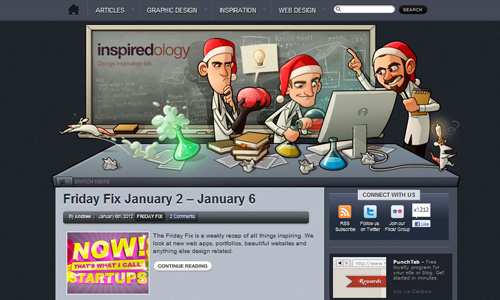 Most design blogs become successful due to lists or collection of various design inspirations. These are becoming popular for a designer can look into one list with so many things to look at. For example, 30 Astounding Samurai Artworks and 100+ Free Soft and Smooth Silk Fabric Textures. It can inspire other designers and could also give them ideas on how to work on their designs. When you do this, include a link back towards your source and add some additional information regarding it. This way you are not just inspiring but also informative. 7. Allow content sharing to social media. Social networking sites work really well in promoting your posts. Make it easy for your readers to share your posts that they find interesting. Most of them would like to share what they have read through social media. You can make it easy for them to do that by having easy to find social bookmarking. 8. Redirect posts to other articles in your blog. It would be wise to redirect your readers to some related articles to your current post. This way, your readers will be spending more time reading what is in your website and they will be able to read even those posts which had been there for a long time already but they haven’t come across yet. Also, it can decrease bounce rate which is very vital for the success of your blog. Let your readers stay in your site for a longer time by making it a habit to place redirect links to your other articles. 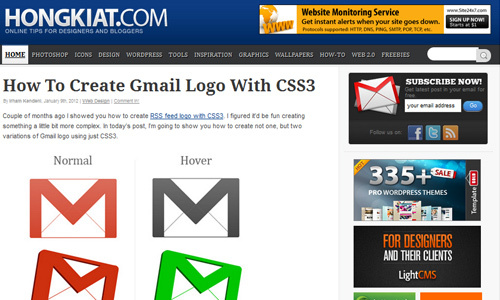 One way of doing this is to let your readers subscribe through RSS or email newsletters. Through this you can remind your visitors regarding your sites for they will be receiving updates as to what is currently posted in your site. If they find it interesting, they would visit your site to read the contents. This way you can retain your visitors and you are ensured that there are people who are consistently visiting the website. Of course, you should also continue posting quality articles to make sure that your readers will always be there. 10. Have a systematic blog. Do not confuse your readers. Make sure that your blog is organized well. This not only refers to your layout but it also refers to your choice of categories, tags and others. If your blog is about web design then focus on web design. Do not include other things like online games or craft. Choose categories well. You can also have sub-categories if you want to. It is very important for a graphic design blog to have consistent posts. Actually, this is true to all types of blogs because if the readers don’t have anything to look forward to, they won’t be visiting your site. Most blogs that are successful has one or more post every day. For starters, it would be good to set a certain day to have a post. It is important for the readers to know what particular day or days you will be having a new article. Even if you do not do it every day, the important thing is consistency in posting. An effective graphic design blog has good branding. This means that you are able to establish your own name through your blog by using a logo, mascot, and even colors. Your choice of typography, images and colors greatly affect to your brand. One look at your blog could immediately tell the readers what kind of person and designer are you. See to it also that your blog will retain in the minds of the readers and would encourage them to be back to check your latest posts. 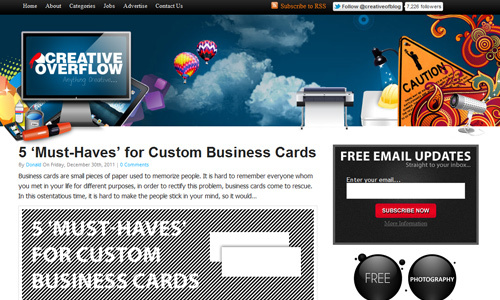 The design and content of the site is very important in order to have an effective graphic design blog. Likewise, you really need to be determined to make your site successful and effective. Aside from those mentioned above, there could also other things that you think would be important to make a blog effective. Feel free to share to us those tips that you think are lacking. 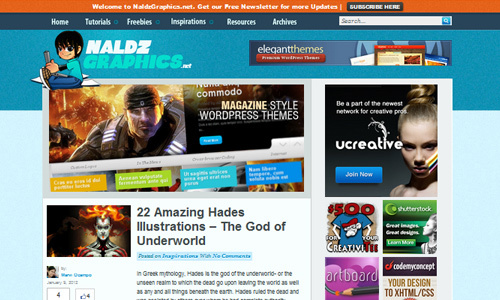 It would be a great help to those who will be creating their own graphic design blog. Very well curated article and thanks for including us, we feel privileged. Keep such great articles coming Ronald. It is true that designing a blog site is not that easy as writing an article and playing with words. You have to consider a lot of features that you need to use to market your site, to make it more attractive and let the readers feel the ease and enjoy not just the article you posted but the images and graphics you shown to them. is blog useful for student? Thanks for sharing this guidelines since I am planning to build my own blog site. I am now thinking how to start it. yes, I may say that blog is useful to students because it provides information and explanations as well. I would recommend this site to my friends. Great idea! I will apply your suggestion and see the result after. Good Branding is missing in my blogs. Now you gave me an idea since I am a beginner! Thanks to your article! Some might use the templates available in the web but we can never denied the fact that customized design of your web blog site is more attractive to the readers. Agree? You’re right! A unique website design will really capture the readers’ attention. Great suggestions! Thank you for reminding me that I need to have a sharing tool to other social sites so to increase the rank of my articles or blogs. You really gave me an idea! 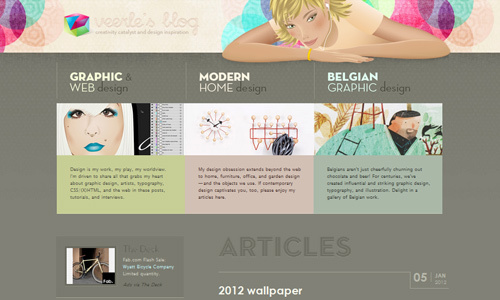 Now I realized how to have an effective yet creative graphic design blog! thanks for the guidelines you provided here. I will use it. Great advice! Thanks for sharing it with us, really into this.